Been a long time since I updated but been pretty busy. My book is just about finished and will go out to people in the New Year. It’s called The Station at the End of the World and is a love story about a school teacher from Edinburgh who falls in love with a communist from Glasgow, all set against the backdrop of the Spanish Civil War. I’m going to immediately start something new as I can’t bear to hang around waiting for that call/email. Not sure what yet. I’ll be thinking it over during the holidays. It’s been a busy year. We moved house and I now have a fantastic study with a view of a church steeple and lots of rooftops. At the moment they’re covered with snow. I’ve been busy teaching too. As well as mentoring novelists – see my website for details – I am working for the OCA. This is an image from a workshop I organized for Algebra, the digital journal I edit for Tramway. 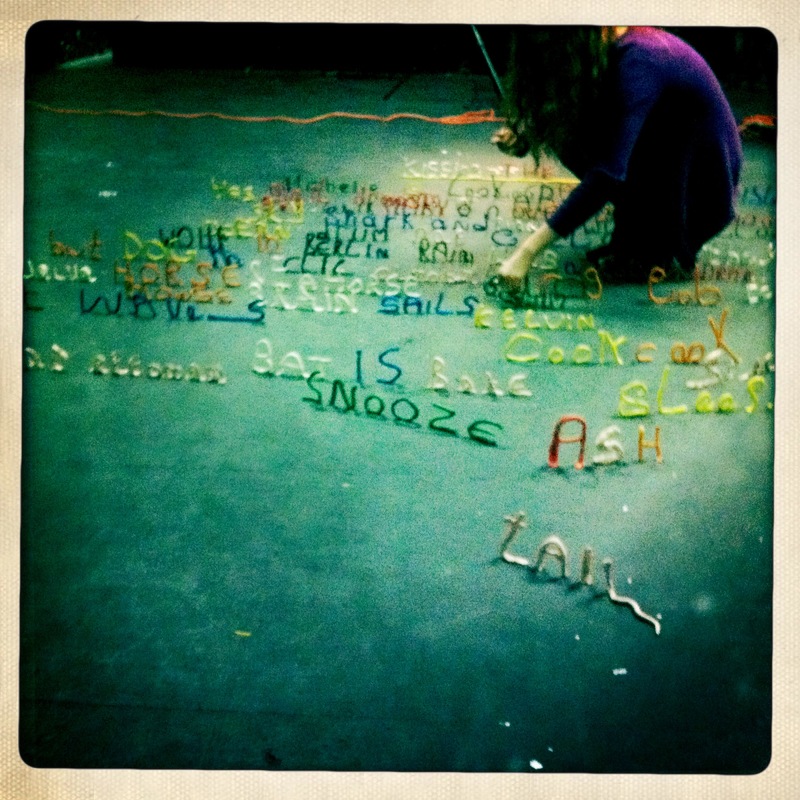 Eight new writers experimented with modern dance and plasticine. Will update soon with news (hopefully good) about the novel. It’s chilly out there. Take care . . .
16 Dec	This entry was published on December 16, 2011 at 11:19 am and is filed under Uncategorized. Bookmark the permalink. Follow any comments here with the RSS feed for this post.